I was delighted to have been invited to attend the Royal Over-Seas League Competition Final last night held at the Queen Elizabeth Hall in London. I have never been to this competition before, although I have accompanied various participants over the years during the earlier rounds. The ROSL competition was established many years ago (the ROSL was founded in 1910) and has propelled many young classical artists to success. Reading the list of prize winners over the years is impressive to say the least; John Lill, Geoffrey Parsons, Paul Lewis, Susan Bullock, Ashley Wass, Jacqueline du Pré, and Barry Douglas (to name a few) have all won awards and have subsequently been encouraged by the ROSL. Last night’s young artists were all outstanding. We were treated to a veritable feast of music making. The evening began with a piano duo who had won the ROSL Ensemble Prize, The Franςoise-Green Piano Duo, who opened the event with an unusual rendition of God Save The Queen. This was followed by four performances of artists who were competing for the Gold Medal and First Prize; the categories were Woodwind and Brass, Strings, Voice and Piano. These competitors had already won their instrument category class after 6 weeks of gruelling audition rounds. The first to perform was Trombonist, Peter Moore. I heard Peter win the BBC Young Musician of the Year in 2008 (when he was about 11!) so I knew we were in for a treat. Accompanied superbly (the accompanists throughout the evening were magnificent) by Nicholas Oliver, Peter romped through the Frank Martin Ballade demonstrating his technical expertise. The Aria and Polonaise Op. 128 by Jongen was breathtaking in its beauty and control too, but for me the highlight was the Brahms Vier Ernste Gesänge Op. 121 No. 2, where Peter’s sound and musicianship was spectacular. 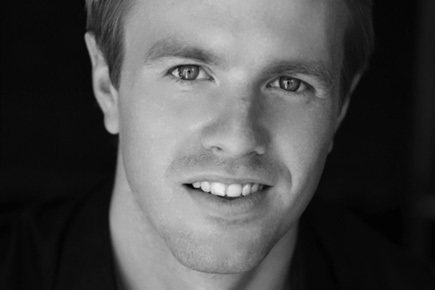 The second competitor, Baritone Morgan Pearse (accompanied by Chad Vindin) sung a range of songs including Vaughan Williams, Finzi, Schumann’s Belsatzar Op. 57, which was sung with absolute conviction and real intensity. He also sang Mein Sehnen, mein Wähnen (Die tote Stadt), by Korngold which was the most effective for me, as it illustrated his rich, warm sound and excellent diction. The crowd pleaser ending, Bella Siccome from Don Pasquale by Donizetti, brought the house down. Violinist Michael Foyle then took the stage (his pianist Maksim Shtshura providing a glittering backdrop) and performed Subito by Lutoslawski, with lots of rhythmic drive and passion. Ensemble here was paramount and the duo amply demonstrated their wonderful musical and technical rapport. Ravel’s Tzigane closed Michael’s bid for the Gold Medal. It was full-on gypsy dance revery, taking rhythmical license to the brink of acceptability! Pianist Sophia Dee closed the competition. She started with Chopin’s ever popular Barcarolle Op. 60 which was well constructed and passionate although perhaps required a richer, fuller sound particularly during the climax. Debussy’s Feux d’artifice (Préludes Book 2) shimmered and sparkled. Liszt’s Hungarian Rhapsody No 10 S.244 was, for me, Sophia’s most effective playing. She seemed at home with Liszt’s style and quite clearly revelled in the technical frolics. After the interval, The Franςoise-Green Piano Duo entertained us with a selection of works arranged by Kurtag and they were followed by Tempest, a trio of female flautists, who were fantastic and quite simply the most enjoyable performers of the evening! They won the ROSL Ensemble Prize and arrange many of their works to compliment their unusual ensemble. The jury (about 20 distinguished musicians, many of who were previous ROSL prize winners) delivered their verdict and the prizes were presented by pianist, Melvyn Tan. During the interval my companion for the evening (pianist, composer and retired Head of Keyboard at the Guildhall School of Music and Drama, John York) and I wrote down our winners, placing all four instrumentalists in our order of preference. We both chose exactly the same winner and order of instrumentalists too, but the jury didn’t agree with us! The winner, Baritone Morgan Pearse, is an extremely worthy Gold Medalist (we put him second). Our choice was Trombonist Peter Moore. Nevertheless, all four competitors are already winners in their respective classes and will no doubt go on to develop highly successful careers. Many congratulations to all of them and to the ROSL on hosting such a fabulous evening.